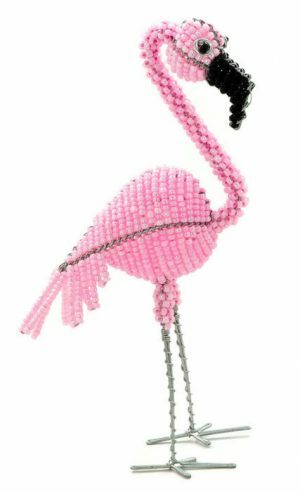 Our life size fair trade beaded West African crowned crane figurine is 22″ tall! 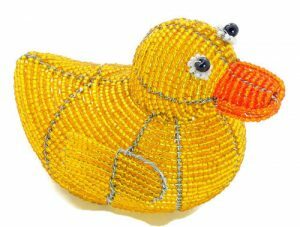 We wanted to recreate some beautiful birds as beaded bird figurines and when we saw the West African Crowned crane we fell in love. 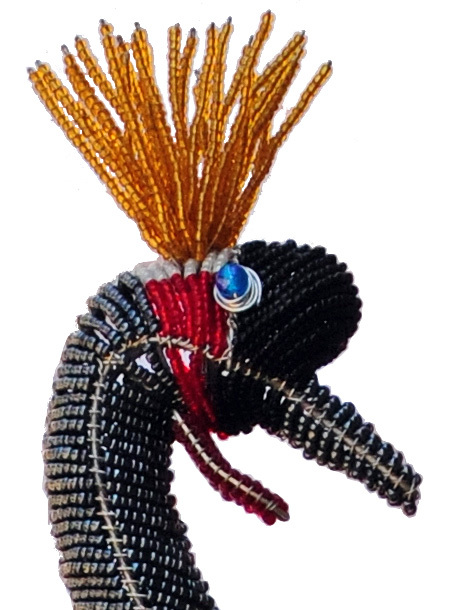 Our talented artisans in South Africa and Zimbabwe worked very hard to create this museum quality beaded West African crowned crane figurine! 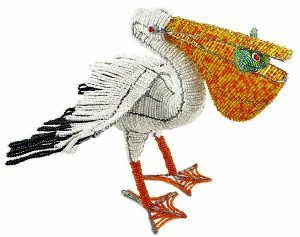 This tall beaded crane figurine will look splendid at the entrance to your home or in your dining room or den or in any room where you are looking to create an African or wildlife theme. Bird home decor at its best! Tired of the typical animal garden sculptures? 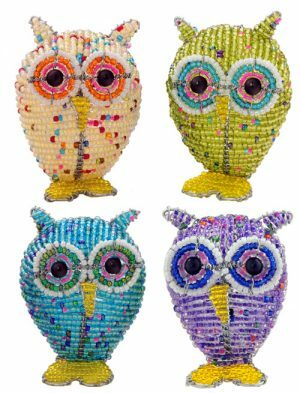 Our many beaded animal figurines are the most stunning pieces available for animal garden decor!